Pizzare brings authentic Neapolitan pizza to Berlin. “Our pizzas baking time is just 2 minutes and they are made only with quality ingredients”. You can try the traditional Italian pizza made with the latest state of art innovations. 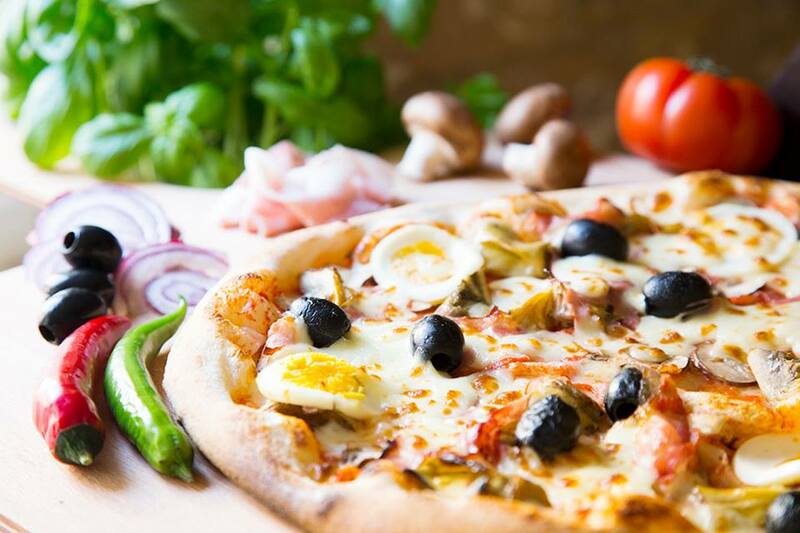 Pizzare also serves vegan pizzas, Gluten Free pizzas and pasta, focaccia, lasagne and Sunday brunch. San Marzano Tomato Sauce, buffalo mozzarella (both smoked and white) coming from Roberta di Salerno dairy shop,Gran Biscotto Rovagnati cooked ham (Italian style ham), Parma ham, pistachio nuts from Bronte, Pachino tomatoes, 24 months Parmesan cheese; these are only some of the tasty condiments that characterise Pizzare pizzas. Pizzare opened in 2016; it is located in Prenzlauer Berg (Berlin) between Eberswalder Straße stop and Mauer Park. At Pizzare, pizza dough rests 48/72 hours before becoming pizza and only Italian flours coming from family-run mills are used unless you decide on dough made with organic spelt, kamut, quinoa or corn flours (quality and natural local products in any case). Pizzare is the first fast-casual pizzeria in Europe; it is based on the concept of self-service quality food at affordable prices (for example: pizza Margherita+ drink for just 6.50€). Pizza here is round, 29 cm in diameter; you could choose to taste it in the restaurant itself or you could buy a slice of pizza and enjoy it on the street. Thanks to latest generation machineries and to Pietro, the Store Manager, and his staff’s rapidity, pizza is served in only 2 minutes. At Pizzare you could taste not only classic pizzas like Margherita, Capricciosa, Marinara, Napoli but you could also create your own pizza and choose the best condiments such as guanciale (Italian jowl bacon), bresaola (Italian cold cut), mascarpone cheese, Italian sausages, Norcia Truffle, Ligurian pesto and much more. “The kitchen is open if you want to check our products freshness: we cut and slice our cold cuts many times during the day in order to preserve their organoleptic characteristics.” Pietro tells us. It’s also available a full vegan menu with a wide choice; here you could also try pizza with Nutella or hazelnut cream from Piedmont. Gluten free pizzas are also available only on demand (even if it’s not possible to guarantee gluten total absence). Pizzare also offers tasty focaccias seasoned with rosemary or pistachio nut and mortadella, special aperitifs with Italian toasted bread, ham steak and raw ham. Here you could find Italian lasagne but also delicious desserts like tiramisu, fruitcakes and fruit salads. Don’t worry if you are vegan, Pizzare offers a wide choice of vegan desserts, like the Vegan Tiramisu with chocolate from Venezuela. Wines and non-alcoholic drinks are also available, such as draft Moretti and Heineken beer and the Carlsberg beer, fruit juices with Sicilian oranges and lemons from Sorrento.